Be it Data import, Payments & shipping, CMS pages, Blog, Marketing & Promotions or freedom to select host type, Magento is fav choice for most e-commerce sites! 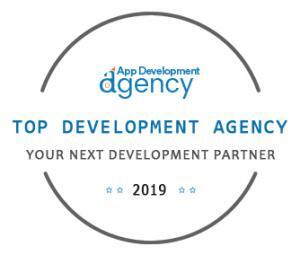 BELMONT, UNITED STATES, April 4, 2019 /EINPresswire.com/ -- App Development Agency explains the process involved in ranking top Magento development companies and the importance of checking facts and researching the subject. It is every business person's dream to achieve cost-effectiveness, stability, and subsequent profits in business. They work harder than their counterparts and make every effort to make their dollar count. It is important for every business to check what works out for them and what doesn’t. With all the unpredictability, business is always a work-in-progress and is never finished. Financial statements, customer satisfaction, averaging the number of clients (prospects turned into permanent customers), conducting performance reviews, staying current on the market and assessing your own expectations are some general ways applied by businesses to measure their performance. But there are many around who try to consider their own perception – how do they feel that the business is doing? The numbers might look good, but are they where they want them to be? Thinking of taking your business to the next level, but aren’t sure whether you must invest your hard earned money or not? Here is a list of major strikers in Magento e-commerce development this season who offer powerful marketing, search engine optimization, catalog management tools, stretchy shopping cart system, control over the functionality and content. Magento is the default choice for creating online shopping stores as it tops the list of topmost technologies that have been the basis of e-commerce platform in 2018. It has two variants - Magento open-source (earlier: Magento Community Edition) vs. Magento Commerce (earlier: Magento Enterprise). While Magento open-source is favored by startups, Magento Commerce is much liked by enterprises who wish to adorn their applications with enhanced features. Here is the list of top Magento e-commerce developers chosen by ADA (subject to being voted according to their popularity). The reason Magento is being preferred is because it is able to integrate some basic features like (1) product management, (2) category management, (3) inventory management, (4) client account, (5) customer services, (6) order management, (7) payment methods, (8) search technology, (9) multi-lingual support, and (10) integration of promotional and marketing tools, (11) analysis and reporting, (12) third-party integration, (13) flexibility, (14) affordability, (15) better speed, (16) mobile friendliness, (17) customizable security preferences, (18) cross-platform reach, (19) assistive order management and (20) freedom to choose hosting service etc. 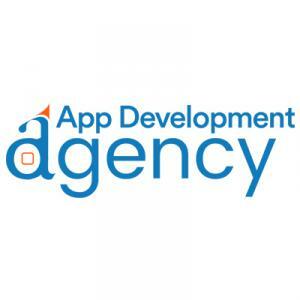 App Development Agency (ADA) is into the process of reviewing top agencies in the development and ranking them based on expert comments and popularity polls. They consider important basics like reviews from clients, timely delivery within budget and time, adherence to various time zones, adapting to the latest technologies, flexibility to upgrade and communicating with clients. Their listing is often revised periodically.